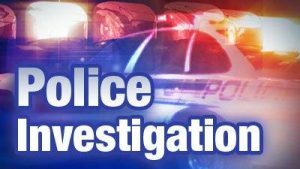 The La Porte County Sheriff’s Office is investigating an armed robbery that occurred in the Michigan City area during the evening hours on Wednesday. At approximately 6:05 PM, deputies were dispatched to a business, located at 10128 West Kieffer Road (CR 400 North), in reference to an armed robbery. One subject entered the business demanding money while brandishing a firearm. The suspect left the business a short time later after an unsuccessful attempt of acquiring money. The suspect is described as an African American male in his early 20’s, 5’9” – 5’10” in height, medium build and at the time was wearing a hooded sweatshirt and blue jeans. If anyone has any information regarding the identity of the suspect or were in the immediate area at the time and have additional information, please contact Sheriff’s Office Detective Jennifer Rhine-Walker at (219) 326-7700, ext. 2375.